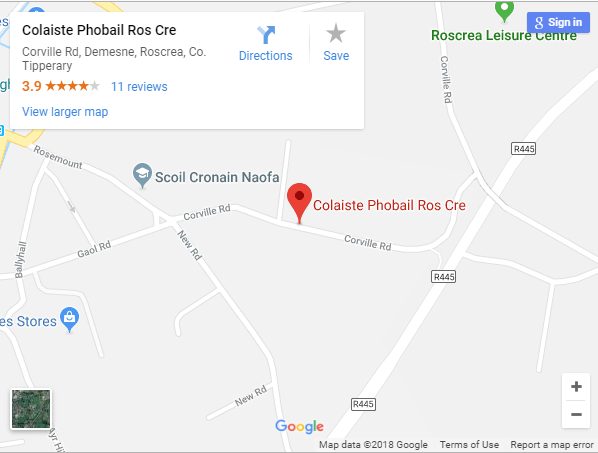 All roads lead to Fermoy GAA field on Wednesday, January 24th for the long, awaited Munster final between Coláiste Phobal Ros Cré and St. Aloysius, Carrigtwohill. These two teams had met in the Munster 1st year blitz final last year so a close encounter was expected. Coláiste Phobal started well with a superb goal from our captain fantastic, Fiona Scully. In fact, all our 6 forwards put their name on the scoreboard. The work rate at centre field by Eilish Gleeson and Kate Hogan was superb. Emily Doughan pulled off some fantastic saves in goal. Any pressure that was put on our back line was dealt with effectively by our Defence team. Coláiste Phobal Ros Cré were dominant all the way through this final and were, without a doubt, the better team on the day. Fiona Scully and Ciara Sammon received the Munster Cup on behalf of the team. Sincere thanks to Fermoy GAA for allowing us the use of their facilities and to the referee. On Friday the 26th of January the final of the Tipperary E.T.B. Talent Search took place in The Dome in Thurles. Coláiste Phobal were represented by Abigail Wright in the junior category. Abigail gave a fantastic performance of the song ‘Rise Up’ but was unlucky to be amongst the prize winners on the night. Our trad. group represented us in the senior category. Their performance began with a beautiful performance of the well-known song ‘Grace’ they followed this with a set of lively reels. Despite some very stiff opposition the adjudicators awarded them with second place. All in Coláiste Phobal are tremendously proud of this talented, unassuming group of young musicians. 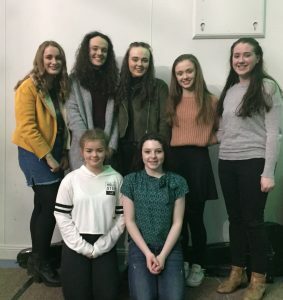 The members of the group are: Orlaith Cleary, Kelly Feehan, Caoimhe Flannery, Áine Gleeson, Eimear Gleeson, Teresa Maher and Katie Scully. Well done girls!